The Welsh Government has confirmed “discussions are ongoing” to host one of Europe’s big three grand cycling tours. 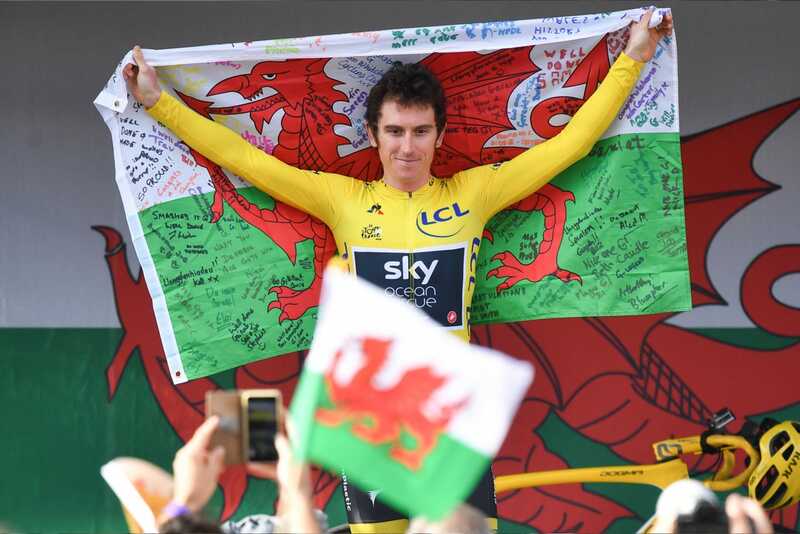 The news comes in the wake of Geraint Thomas’ Tour De France win and Wales successfully hosting the start of the Tour of Britain earlier this month. The Tour De France, Spain’s Vuelta a Espana and Italy’s Giro D’Italia are considered to be cycling’s big three events. However, a decision on whether to make a bid is dependent on what economic and sporting benefits will be generated by hosting one of the races. Asked whether there was a realistic possibility of Wales hosting one of cycling’s major tours, a Welsh Government spokesman said: “It would be fantastic for Wales to host a future Grand Tour. “We have made contact with the owners of all three events to explore options and discussions are on-going. Tourism Northern Ireland estimated that hosting the opening three days of the 2014 Giro D’Italia raked in almost £13m in added tourism spending to the region. Northern Ireland’s Department of Enterprise said the cost of staging the event was £4.2m. While a report led by Leeds City Council in the wake of Yorkshire hosting the 2014 Grand Depart of the Tour De France estimated the county benefited by £102m. However, London reportedly turned down the opportunity to stage the 2017 Tour De France Grand Depart because the estimated £35m cost of hosting the event in the capital was too great. Calls for Wales to welcome one of cycling’s big three have been intensifying following Thomas’ historic win in Paris and Wales’ success in hosting major sporting events.